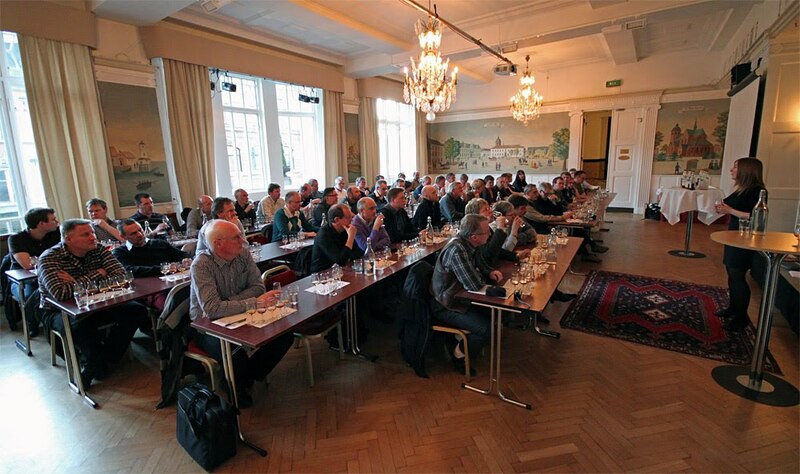 I recently attended a whisky tasting in Malmoe, Sweden. 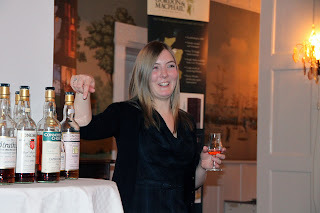 It was hosted by our local whisky club and was carried out by lovely Nicole Hizett from Gordon & MacPhail. 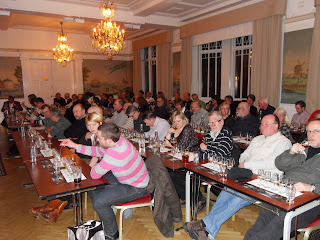 As always these tastings are very popular and this time 54 persons attended. As you see on the image the colour is very dark (old oak-brown sherry) except for the two 10 years old ones (gold). To be fair when tasting you'll have to separate the Benromach and Ardbeg from the older ones. I'm normally very fond of Ardbeg and peaty whisky but in this company it was not suitable. The other 4 were very fruity, some spiciness, 2 and 4 a bit dry and 3 and 5 sweet. Finish: Medium long - long, big. 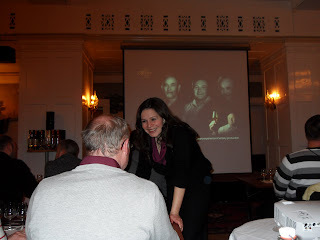 I recently attended an Arran whisky tasting in Malmoe, Sweden. It was hosted by a local whisky club and was carried out by lovely Louisa Young, who is Sales Manager at the Arran distillery. Arran distillery is an independent distillery and was founded in 1995 and is the only distillery on the isle of Arran, which is situated in a bay on the west cost of Scotland. The tasting was a great success and 65 persons did attend. 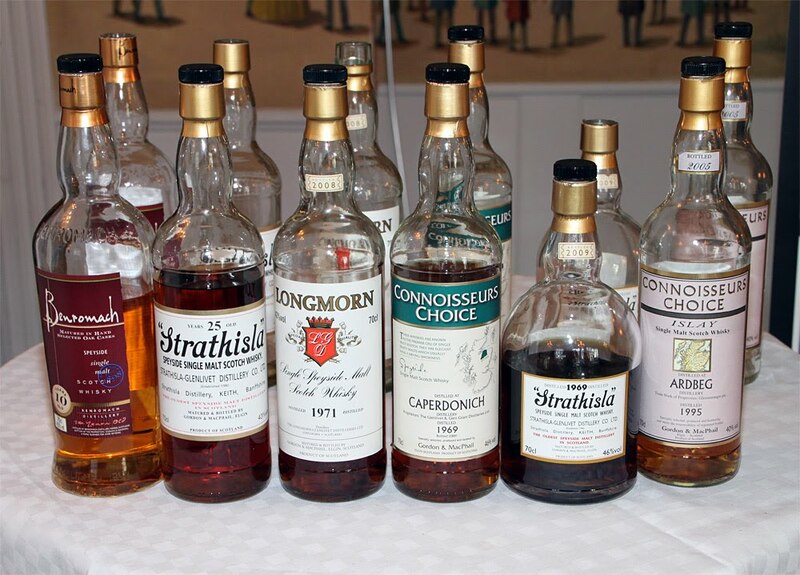 They are all single malts, non-chill filtered and no colouring. Arran is a young distillery and does not have any old whiskies in stock yet, so they are experimenting to find good expressions. This results in several different finishes as no. 4-6. Nose, without water: 1-2, 4-6 fresh, 3 warming. Nose, with water: 1 fruity, citrus, malt. 2 sweet, fruity. 3 fruity, fudge. 4 sweet spiciness. 5sharp. 6 sweets, nuts. Mouth feel: 1-3 oily. 4 and 6 rough. 5 dry. Overall flavour: All of them had some spiciness. 1-2 fruity and some sweetness. 3 fudge. 4 rubber. 5 fudge. 6 Cask, wood, nutty. Conclusion: There is a fruity spiciness in all expressions. Both 1 and 2 are very nice malts and I look forward to the 14 year old which will be released later this year. My personal favourite was the 100° proof, a smooth spicy fruity malt with a taste of fudge. Personally I’m not a fan of finishes in wine casks but a lot of people are. When we voted for the best whisky this evening, number 3 and 6 were voted the best. This 18 year old Rosebank was bottled by the Independent bottler Douglas Laing (Old Malt Cask). It has matured in a bourbon cask. 1 of 672 bottles. The whisky is triple distilled. The distillery was closed in 1993 and there is now a restaurant in one of the buildings. Unfortunately, this whisky did not meet my high expectations, although it is still a very good whisky. On Nov 23rd 2009 Scotch Whisky Regulations covering every aspect of the making, bottling, and labelling of Scotch Whisky come into force. Five categories of Scotch Whisky are defined for the first time; Single Malt Scotch Whisky, Single Grain Scotch Whisky, Blended Malt Scotch Whisky, Blended Grain Scotch Whisky, and Blended Scotch Whisky. A requirement to only bottle Single Malt Scotch Whisky in Scotland. New rules to prevent the misleading labelling and marketing of Single Malt Scotch Whiskies. A ban on the use of the term ‘Pure Malt’. A ban on the use of a distillery name as a brand name on any Scotch Whisky which has not been wholly distilled in the named distillery. Protection of five traditional whisky regions of production; Highland, Lowland, Speyside, Islay, and Campbeltown. A requirement that Scotch Whisky must be wholly matured in Scotland. Clear rules on the use of age statements on packaging. Designation of HM Revenue & Customs as the verification authority for Scotch Whisky. The Christmas goat in the City of Gävle in Sweden is made by straw from the barley that Mackmyra is producing its whisky from. Mackmyra Distillery is placed just outside Gävle. There is tradition to try to burn down goat every year. Sometimes someone succeeds and sometimes they don't. Click the link to see a live cam of the goat. This is a distillery bottling. This is a perfect dram for the winter season to enjoy after a nice outdoor walk. If you are an Islay fan, this one will certainly not disappoint you. Cooley Distillery, Ireland’s only independent Whiskey distiller, has been named European Distiller of the Year for the second year running at the 2009 International Wine and Spirit Competition Awards banquet in London last night. In 2008, Cooley Distillery won the World and European Distillery of the Year awards becoming the first Irish distiller to do so. This year, Cooley Distillery eclipsed its 2008 IWSC medal haul with a record 10 gold medals and nine Best in Class awards securing the European Distiller of the Year award in the process. To top the night off for the Louth based distillery, its Kilbeggan 15-year-old collected the prestigious Brown Forman Trophy for Worldwide Whiskey of the Year. The Brown Forman Trophy is awarded to the best Whiskey in the world produced outside of Scotland. The Kilbeggan 15-year-old, which was launched in March 2007, has now won back to back IWSC gold medals and has been recognised as the best in its class for two years running. The Brown-Forman Award cements Kilbeggan as one of the world’s best Whiskeys. The awards were accepted on the night by Noel Sweeney, Master Blender and Jack Teeling, Sales & Marketing Director of Cooley Distillery, at the 40th IWSC Awards ceremony at the Guildhall in London. “To win European Distiller of the Year award in back to back years is a unique achievement. This award is testament to the innovation and dedication of the entire Cooley staff. Their continued hard work and our focus on quality has allowed us to produce an extensive portfolio of world class Whiskeys as evidenced by winning Worldwide Whiskey of the Year for our Kilbeggan 15-year-old. 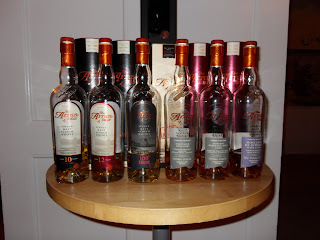 I'm a Swedish guy with a big interest in Whisky, especially Single Malt Whisky. I'm going to share with you interesting information about Whisky as well as Whisky Reviews about both well known and less known brands, as well as related issues and items.